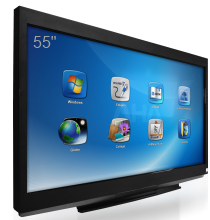 The 55” 2Touch Interactive Display offers an ideal solution for audiences of 10 people and less. Real 4K on a 55" Touch Screen The 55” UHD 4K 2Touch Interactive Display offers an ideal solution for audiences of 10 people and less. The 65” 2Touch interactive Display is ideal for medium sized rooms with up to 20 participants at 5.3 meters. Real 4K on a 55" Touch Screen The 65” UHD 4K 2Touch interactive Display is ideal for medium sized rooms with up to 20 participants at 5.3 meters. The biggest Touch Screen in Australia! The ideal screen for 40+ participants sitting at 7.5 meters. The only real 4K on big Touch Screen in Australia! The ideal screen for 40+ participants sitting at 7.5 meters.